After striking the controversy by banning “#curvy” last month, the social media giant, Instagram recently banned #edm. EDM which abbreviates to “Electronic Dance Music” was the latest hashtag to be banned by Instagram. Instagram has been practicing this tradition of banning many hashtags and the “blacklist” is a really celebrated one. But, users slammed the company after it banned a body defining term “curvy”. This ban had nothing to do with the Dance music scene, but it was just that some inappropriate pictures were being circulated using this hashtag. By this, even #macbook would be banned if pictures of people “smoking up” or for that matter pictures of people showing their balls were circulated using this hashtag, which basically means that Instagram has nothing against “MacBook”. 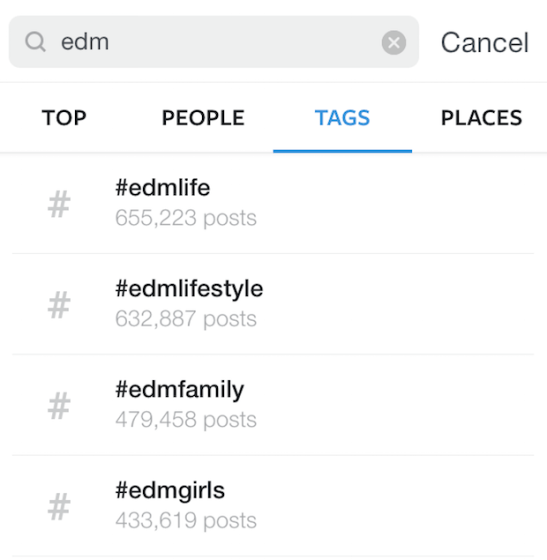 There are many more hashtags that Instagram needs to deal with , but it’s just the frequency with which #edm is used is how it caught the “watchman’s” eye. This basically proves how big the “EDM” scene has become, which is something the EDM fans should celebrate about. However, on 7th August, 2015, the ban over the hashtag was lifted. All the prior images and memes can be found on the hashtag now.